Welcome to External Eye Anatomy! This time we will be exploring the auxiliary parts of your eye. The parts of body that are not within the eyeball but are crucial in supporting and keeping the eye healthy. There are 4 main auxiliary parts of your eye. Eye muscles, eyelid, eyelash and orbit. There are 6 extraocular muscles attached to the sclera of each eye. 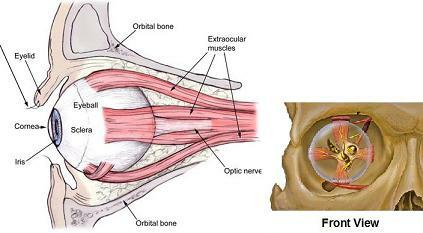 This extraocular muscles work together so that the eye can move simultaneously and view the same object. They control the movements and directions of the eye. However, if one of the muscles is too weak or too strong, a misalignment of eyes (strabismus) will occur. 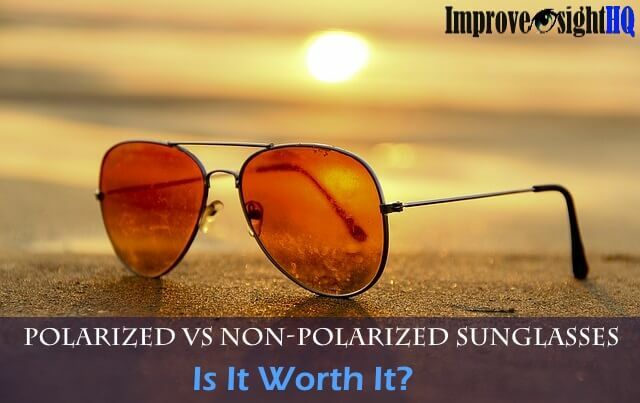 Over-reliance on corrective lenses can weaken the eye muscles too. 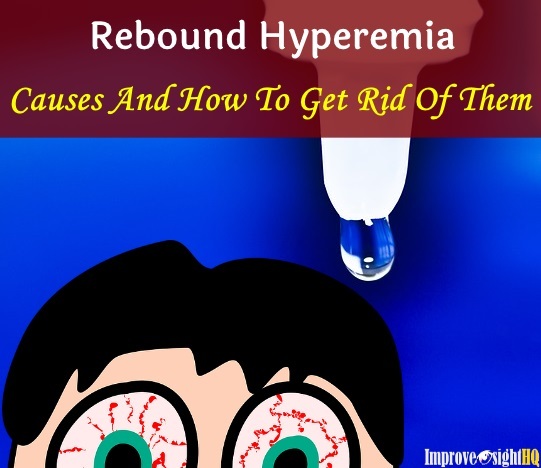 Though it will not cause strabismus, it will worsen your vision. 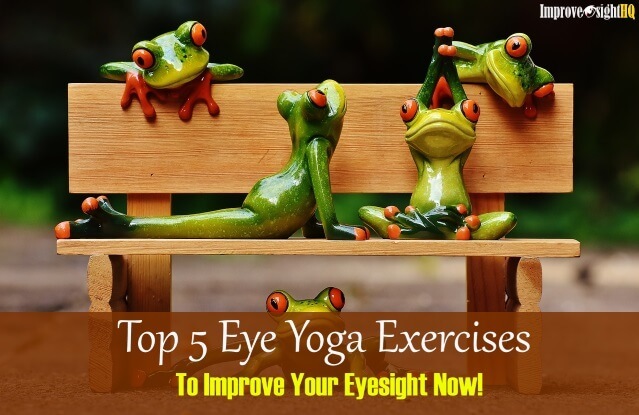 Eye exercises can help you to combat that. The eyelid comprise of a thin layer of skin on the outer surface and a moist conjunctiva on the inner surface. The eyelid serves to protect the surface of our eyes from injury. 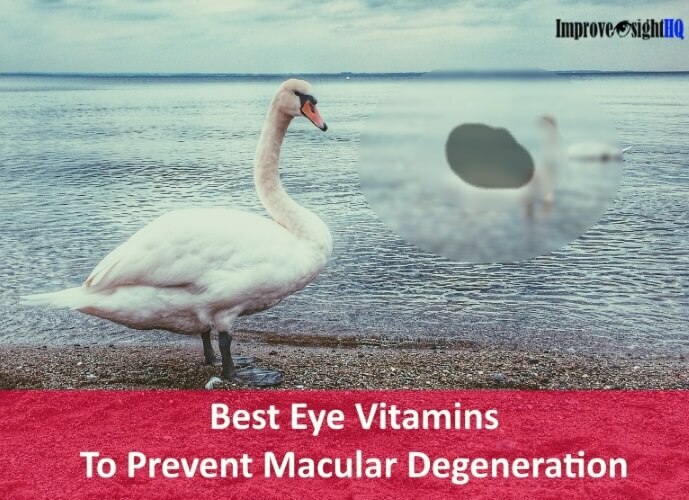 They protect the eyes by blinking when any foreign matters (such as dust, dirt, or any form of debris) come too close to the eye, as well as bright light that may be harmful to the eye. The eyelid also helps to moisten the eye. Whenever we blink, the eyelid spreads tear evenly over our eye and cleans the eye surface. Any infection to the eyelid can cause eyelid diseases such as stye and blepharitis. It is also possible the the eyelid isn't functioning properly due to conditions like ptosis. Works with the eyelid to provide additional protection for the eye. Eyelashes help to filter foreign objects including dust, dandruff and debris, and prevent them from reaching the eye surface. The centre of the orbit is where the eyeball sits in like a king, cushioned by pads of fats. The orbit is formed by a pocket of tissue and its walls are formed by seven different facial bones - frontal, ethmoid, zygomatic, maxillary, palatine and sphenoid bones. Within the orbit, the eyeball is surrounded by muscles, extraocular fats, blood vessels, nerves and the lacrimal system (tear drainage system). The optic nerve exits through the back of the orbit and carries visual information to the brain. The lacrimal system is crucial for tear production and management which includes distribution of tears and draining excess tears. Malfunction in any part of the system can cause serious complications. A quality tear film, commonly known as tears, is essential for good eye health and comfort. The tear film provides several functions. 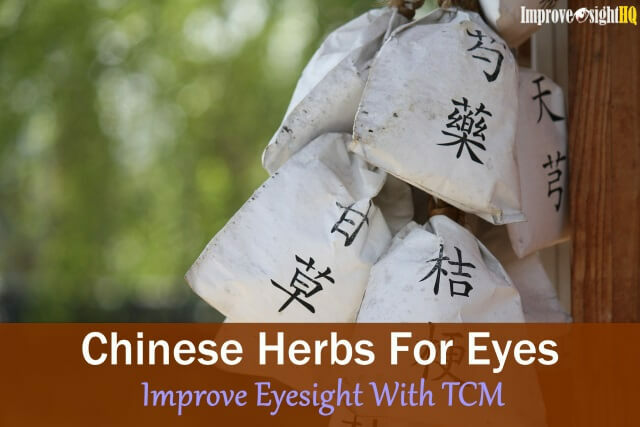 It keeps the eye moist, washes away debris on the eye surface, prevents infection and provides nourishment to the cornea. The tear film is made up of three layers and is produced by the lacrimal gland. The outermost layer is the lipid (oil) layer. This layer serves to serve the tear film and retards tear evaporation. The second layer, also known as the aqueous layer, comprises of water. It makes up 90% of the volume of the tear film. 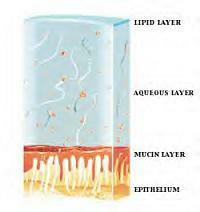 Mucin makes up the lower layer. It serves as an anchor and helps to hold the tear film to the eye. After serving its purpose, the tears will enter the puncta (drainage ducts) and eventually drain into the nose and the throat. A very important part of the lacrimal system. 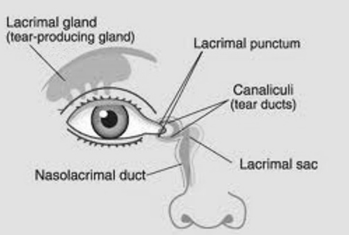 The lacrimal gland is responsible for the production of the aqueous tear (watery layer of the tear film) which is used to moisten the surface of the eye. Underproduction of aqueous tears by the lacrimal glands is a serious form of dry eye syndrome. Small holes which allow tear film to drain from the eyes into the nose. Each eye has 4 puncta (plural for punctum) to make use of. Two are located in the nasal corners of the upper eyelids, and two in the nasal corners of the lower eyelids. Interestingly, one of the popular treatment for dry eye patient is to block the puncta to prevent tears from draining. This can be done by placing tiny plugs in the puncta or surgically sealing the puncta. Nasolacrimal sac is a pouch situated between the eye and the nose, that collects the tears from the eye. When the eyes blink, the nasolacrimal sac is squeezed. This creates a suction effect that draws the excess tears towards it and flow to the nose. Now you know why people blink a lot when they cry. It is a natural way of removing excess tears. A tube that carries tear from the nasolacrimal sac down to the nose. No wonder we often taste the salty tears when crying. Finally, we have come to the end of external eye anatomy. This completes the trilogy of the anatomy of the human eye too. Hope that this series had help you to understand the human eye anatomy better and how they work closely with each other. We need to take care of them as a whole and take care of them well.